KLANG: Police detained a suspect in connection with the placement of three idols at Surau Sabilul Huda, this past week. Klang South OCPD Asistant Commissioner Shamsul Amar Ramli said their probe into the two incidents which took place last Wednesday and Saturday resulted in them nabbing a 37-year-old man. The suspect was nabbed at his home which is located a mere 200 metres away from the surau at Taman Pendamar Indah. Shamsul said initial investigations showed that the suspect who was believed to have acted on his own in placing the three idol's at the surau. "The suspect's explanation was that he placed the 'Datuk Gong' deity statue at the surau as wanted Budhhists to come and pray there. "Another two statues, belived to be Hindu idols wasalso placed at the Surau to invite Hindu's to come and pray there as well," he said. "The suspect claimed that he frequently dreamt that the Kaabah was surrounded by idols and belived that he needed to act and do the same thing at the surau located near his home," said Shamsul in a press conference, here today. He adds that the suspect had also admitted that he had taken the idols from a small temple located opposite a house, nearby," he said. Shamsul said the suspect was also believed to have just returned home from a neighbouring country where he had been working and had also gained insight of wrong religious knowledge. Initial result from test on his urine sample also showed that the suspect was found postive for methamphetamine. The suspect also has two previous offences - causing hurt in 1997 and theft in 2000. "We will conduct a a thorough investigation involving all aspects. We do not deny the possibility that the suspect may sufereing from mental problems," he said. He said the case is being investigated under Section 259 and Section 379 of the Penal Code. It also had nothing to do with insulting Islam or inciting racial or religious sentiments, Shamsul stressed. 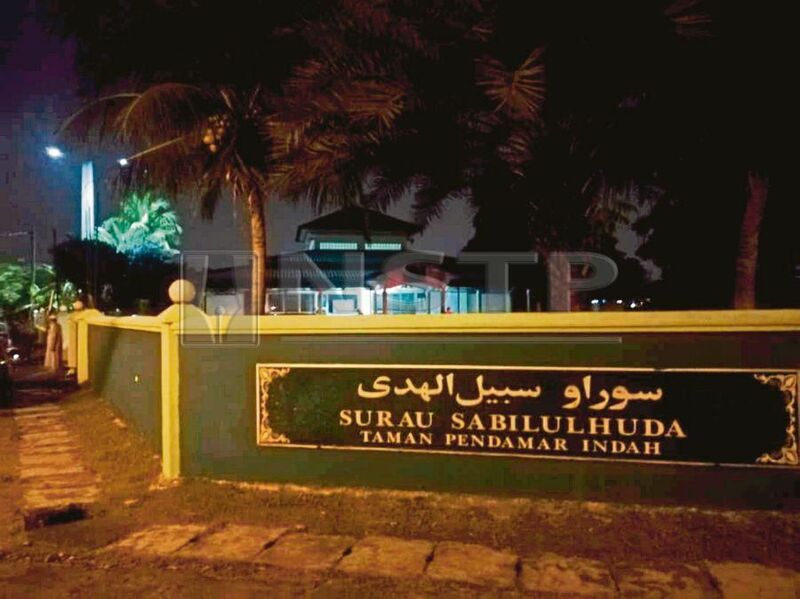 On Wednesday, residents of Taman Pendamar Indah were shocked when they found an idol placed next to the main entrance of the Sabilul Huda surau. The idol was discovered by a surau official who was there preparing for Asar prayers. On Saturday, two other idols were also found to be placed at the entrance of the Surau. Home Minister Tan Sri Muhyiddin Yassin on Saturday had condemned the irresponsible act and said police had received several reports on the matter. "I had instructed the Inspector-General of Police to investigate this thoroughly. "Stern action based on the rule of law must be taken against those responsible for committing such a despicable and provocative act. "Those responsible for stirring up tensions among the different races and religions must be arrested based on the law, prosecuted and punished if found guilty," he had said.